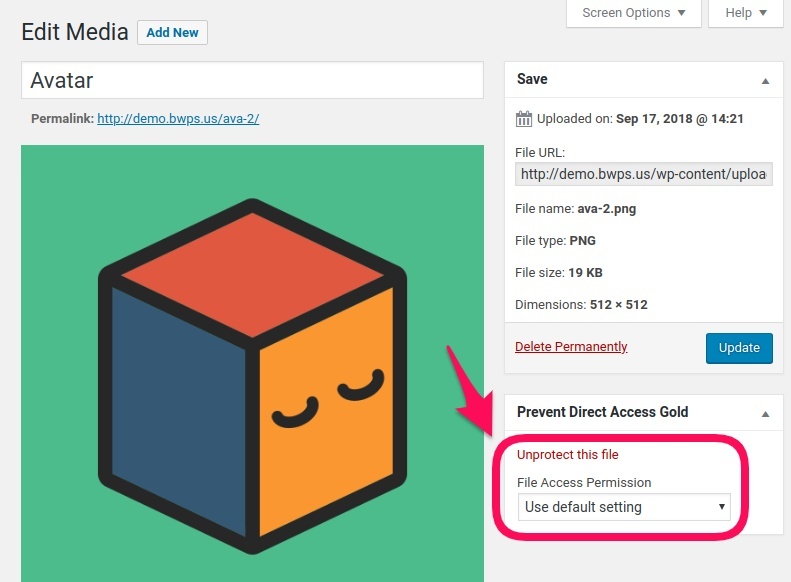 You can restrict access to any files protected by Prevent Direct Access (PDA) Gold with our so-called “File Access Permission”. 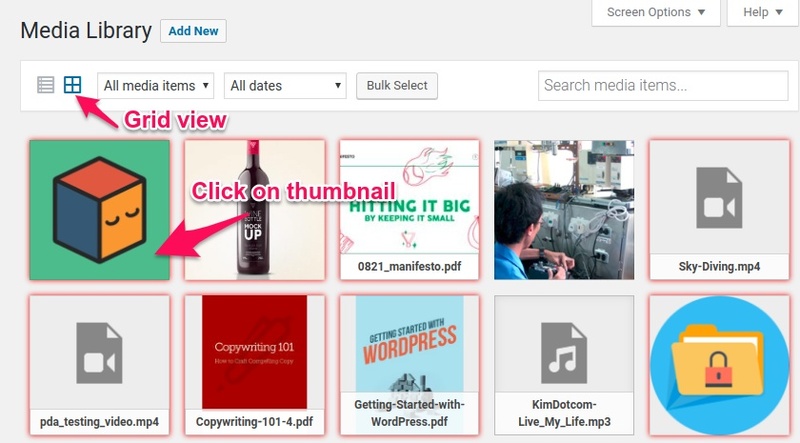 That means only those with permission are able to access the file URL (original link) directly. 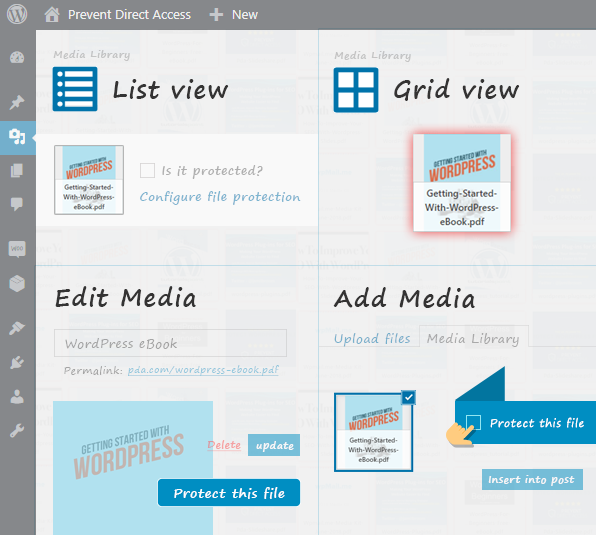 Instead of having to protect and change file access permission on Media Library, you can do it right away while editing your content. 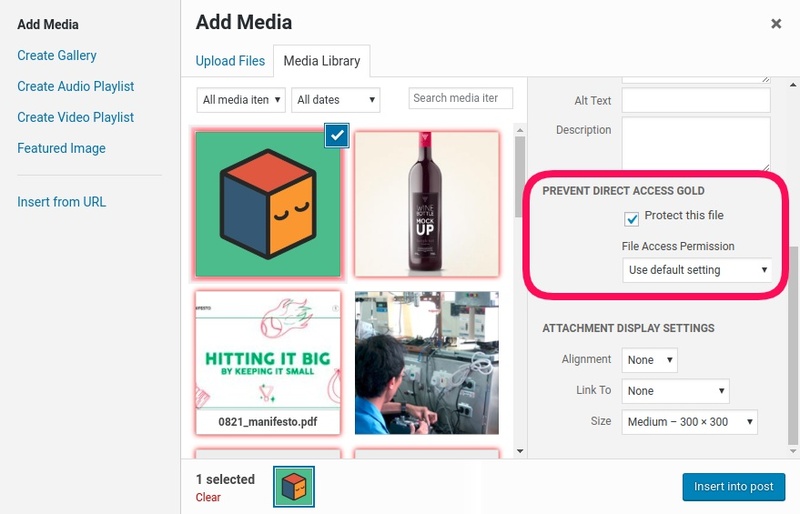 While inserting a new media file into content, look for the File Access Permission option below the file name and URL. Scroll down if you don’t see it. Please remember to get Access Restriction extension to enable full options on individual files.